This is the history of Flexafence, Flexifence, Acacia Products and Bounce Back ® horse fence. Acacia Products is the owner and manufacturer of Bounce Back ® horse fence. Shortly after Acacia Products was founded in 1983 it began to manufacture and distribute its own horse fence. Acacia supplied horse fence across Australia under the name of Flexi fence. Acacia quickly established a presence in the equine industry. Customers included everyone from mum and dad horse lovers to the big stud farms. However as time went by Acacia grew rapidly as other markets developed for Acacia’s custom plastic extrusions. This growth created a need for a specialist distributor for the Australian equine industry. During 2001 Acacia Products Pty Ltd stopped marketing its horse fence system directly and appointed Market Resolutions as the sole distributor. Market Resolutions was owned and operated by Mr Robert Artherrell. Markets Resolutions distributed the same product which it named Flexafence. Based in Sunbury Victoria, Market Resolutions sold Flexafence for over 13 years. Acacia was the sole manufacturer of the Flexafence rail during this 13 year period. During this period Acacia made improvements to the rail materials to further enhance its life and performance. With the retirement of Mr Artherell in 2013 an opportunity arose for Acacia to distribute the horse fence directly. 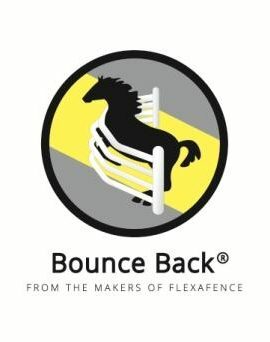 The product Bounce Back ® Horse Fence was launched in early 2014 and marketing online began. Since that time customers have been able to buy direct from the manufacturer. Customers can also purchase the product online. We have established a transport and logistics network to effectively deliver horse fence from our factory door across Australia and New Zealand. Anyone in Australia can now order online and have those products delivered to their door reliably. Even customers in difficult to reach areas on Cape York, Tasmania and the Northern Territory can make use of our deliveries. New Zealand customers can order by contacting us be email or phone. Further products have been added to the range. These products include brown horse fence rail, poly-carbonate brackets, wire stripper pliers, gripper tools and even timber screws.